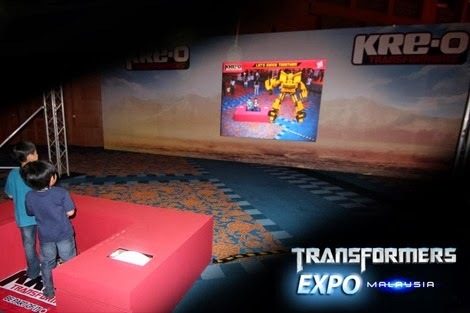 In association with Hasbro INC, the Transformers Expo Malaysia 2014 will be held in Malaysia (in celebration with 30th Anniversary Transformers Expo in Asia), bringing along life size Optimus Prime, Bumblebee and others from Cybertron! Presents the history of Transformers from Generation 1 and beyond. 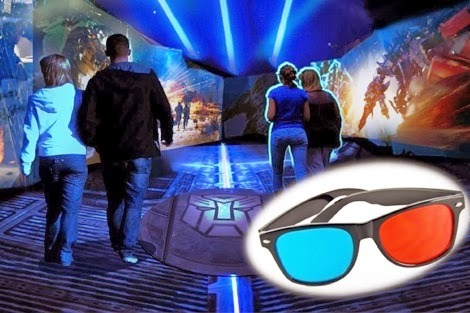 Take a walk through the 3D Tunnel and experience 3D mapping, Augmented Reality and more. Holographic projection of planet Cybertron and sneak peek of the upcoming Transformers 4 movie. 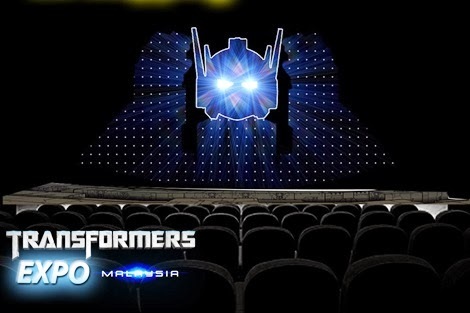 Transformers figures, performances, mascot meet-and-greet sessions, and exclusive merchandise. Buying in advance will allow you shorter entry when you arrive at the Expo and also a discount off the door price. However, you may also purchase ticket during the Expo entrance. Do you like Transformers Expo? Join the EARLY BIRDs ! LATEST Exhibition / Trade / Fair / Concert / Conference / Movie / Roadshow etc IN DAILY EMAIL! EventsNonStop.blogspot.com brings you information about latest Malaysia Events nonstop - Exhibition, Trade, Fair, Concert, Conference, Movie, Product Launch, Roadshow, Summit etc. Please note that there isn't anything to purchase online from our website as it only provides information. While every care is taken to ensure the information is correct at time of publishing, such information may be changed without our prior knowledge, including dates, time and venue, specific offer items, price, free gifts etc. Any errors or omissions are deeply regretted and EventsNonStop.blogspot.com cannot be held liable. It is also important to note that many offers are also only valid “while stocks last”, hence we cannot guarantee availability at any time. EventsNonStop.blogspot.com does not imply endorsement of the organisation by EventsNonStop.blogspot.com, nor does it imply endorsement of EventsNonStop.blogspot.com by the organisation. Copyright (C) by EventsNonStop.blogspot.com. Powered by Blogger.